We are so excited for Boot’s new film, Sorry to Bother You (which he wrote AND directed). Starring Lakeith Stanfield, Tessa Thompson, Armie Hammer, Patton Oswalt, Steven Yeun, Terry Crews, David Cross, Danny Glover and more. It will feature new music from The Coup with a score by Tune-Yards It will be playing in the Bay Area April 12th during the SF Film Festival, will be in select theaters July 6th, and nationwide on July 27th. Youth Speaks presents the 9th Annual Life Is Living tomorrow in DeFremery Park, Oakland (Adeline between 16th & 18th Streets). The festival is free and runs from 10AM- 7PM. The event features music, dance, spoken word performances, djs, food, health information, and activities for kids. This year, they are honoring the legacy of the Black Panther Party. Free breakfast is at 10AM. 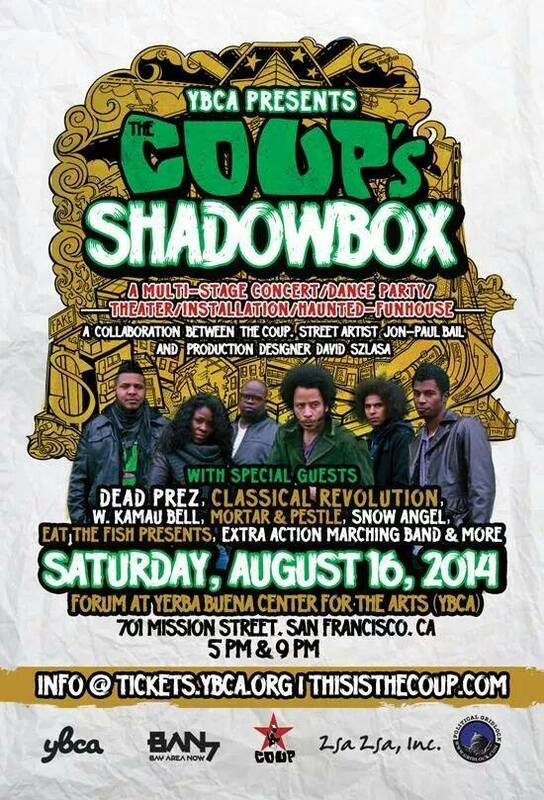 The Coup will be performing at 5pm. More details are here. 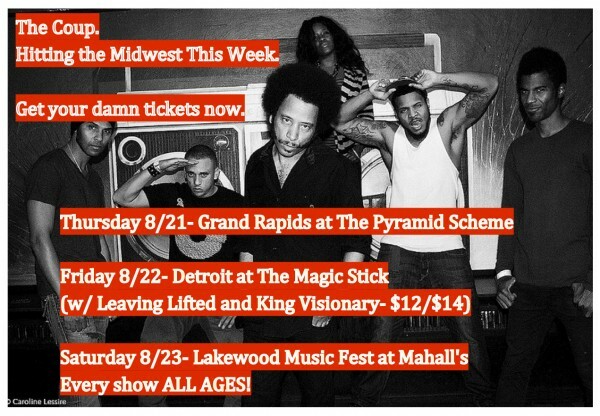 The Coup are headed out for some dates in Grand Rapids, Detroit & the Lakewood Music Fest.